Joint ventures in Indian auto market have seen performing really well evident from the Volkswagen collaboration with Maruti Suzuki India, the most popular and largest selling car manufacturer in the country, but we also have some sour exceptions like Renault and Mahindra groups, which is in a process of divorce. 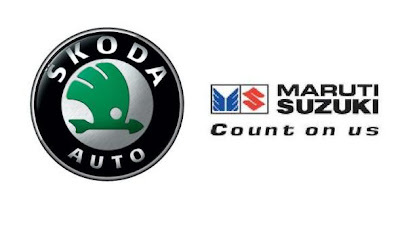 But concentrating on the positive area, we have Skoda India looking for a successful collaboration with Indian major Maruti Suzuki this time. Skoda is working seriously towards the joint venture with the Indian major to manufacture small car for the lucrative Indian auto market. The Chez major is planning this new small car to launch under its famous hatchback Skoda Fabia by next year. The big news is gaining much heat on the Indian land as the senior officials from Skoda India have shown a deep interest in the collaboration decision. The combined efforts from industries top experts- Skoda, Maruti and Volkswagen India are soon to work on a new small car for the Indian auto market. As per the top officials from Skoda, the new car will be shelved in the C segment. The expected launch of this car is in the mid of running year and it will effectively replace Skoda Octavia in domestic market.